It’s that time of the year when I start to review patient with dementia and very topical it is too at the moment. As the Kings Fund has released a new report on the short fall in mental health spending and the increased amount of patients with dementia. It states the number of people with dementia will go up from 582,827 in 2006 to 937,636 by 2026. Secondly : will I be starting to get the early signs of dementia (and would anybody notice). I’ve had the dementia leaflets in my room for over a year, I keep meaning to put them in the waiting room but keep forgetting…is it starting already? The BBC have published a handy guide on when to seek help, and reports that “The Alzheimer’s Society said up to two-thirds of people in England with dementia are never diagnosed, as they do not recognise the symptoms”. So let us take a look…. Do you struggle to remember recent events while finding it easy to recall things that happened in the past? I’ve just read this three times and can’t remember what it said. I’m probably just distracted. Do you find it hard to follow conversations or programmes on TV? Do you regularly forget the names of friends or everyday objects? Only friends I don’t like!! Oh, and if you call everything a “thingy-ma-jig” or a “bit-ne-bob” that doesn’t count does it?? Do you find it difficult to recall things heard, seen or read? Only when my wife goes on and on and then says; “you just don’t listen to me”….I’d like to reply to her: “there so much drivel comes out of your mouth, I don’t know when to listen or when to ignore you”, but I like my testicles where they are, so I say : “I do listen darling, I’m just a bit forgetful sometimes”. Things read…hmm only if they are in a journal! No, well sometimes, but not really, it depends what it’s on, generally yes, well maybe, probably not, what do you think dear? Do you repeat yourself in conversation or lose the thread of what you are saying? Do you repeat yourself in conversation or lose the thread of…urm what? Sorry, what was I saying…oh yeah, Dementia incidence likely to increase, well that’s not too suprising with the increasing aging population. Apart from early detection and improved medication, there is not a lot we can do about that. Do you ever think that if we just keep medicating every aspect of old age, people will never actually die, and therefore we will have an economic crisis, then they won’t let me retire until I’m 85? I swear the older I get the further I get from retirement. Do you have problems thinking and reasoning? Who said that? Oh, your just being cruel now, I’m feeling nervous and you’re silly questions are making me cross…. Do you feel anxious and depressed or angry about forgetfulness? I just said that. It’s all your fault…. Do other people comment on your forgetfulness? I don’t think so, or at least I don’t remember them saying so. It’s not fair. Last week was one of those where all my patients seemed to have a need to drop their trousers, hitch up their skirts and generally reveal themselves in ways they rarely would, even after a night in the pub. As I said only last week history taking is a vital part of clinical assessment, but when it comes to problems “down below!” history taking can be a bit challenging. Steven Seagal Movie about dysuria? Patients seem to adopt one of two approaches when they have a problem below the belt, both of which are a little too extreme to be helpful (or pleasant). The other extreme is the patient who has been practicing exactly what to say (for approximately 4 weeks) and when it comes to examination they say “OK” and then stay exactly where they are. Prompting encouragement to actually stand up and “drop ’em” and “No, I’m not going to undo your flies for you, your hands were working before the consultation, I’m sure they are still able”. and thus it goes on. One parting comment….whatever happened to sexual health, condom use and just good old fashioned common sense? 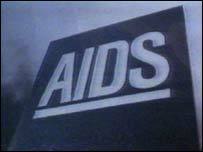 When I was growing up (debatable whether I actually have grown up or ever will), everybody was hyper-paranoid about AIDS. Now it rarely gets mentioned in the common media, but statistics show it is ever rising. Little Miss Muffet sat on her what??? Well, I’m not here next week, so in the meantime perhaps you should check out a newbies that came to my attention…..so take a peak into the world of : Circus Nurse. Enjoy. Taking a history from a patient is a challenge, sometimes the patient will give one word answers and sometimes it’s difficult to get the patient to stop talking. None-the-less a good and comprehensive history is essentially…. Is that Gina from Code blog? Here is an example of why…. But I’m talking about the super keen shiny new registrar, who decided an Xray was necessary. Exposed the young girl to some radiation and guess what….Nothing showed up. (Rich sarcastic tone…. )Oh, how her mummy laughed….having spent a quality 5 hrs hanging around the hospital…. The second lesson this week is in cheek biting. Essential behaviour to stop you laughing in your patients face when they come up with a corker. My example this week was a lady who had felt achy and unwell and told me her “nymphs were up”. Hylas has tonsillitis and his nymph loads where up again…. Hmmm, assume she meant Lymph’s….AKA Lymph Nodes. I was of course a true professional, and doubt she even noticed the little grin that kept trying to sneak across my face….ho hum.